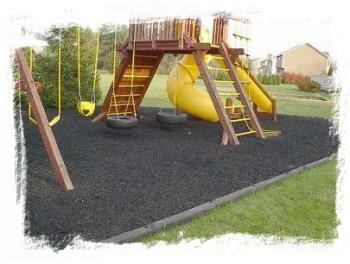 #1 Swing set Installer NJ - Cedar Summit Play System Costco. Not sure where to place your Swing set within the backyard? It’s a Good Idea to place your swing set in an area that is convenient for you to watch your children at Play! The play System should be located on solid level ground. Stationary components such as ladders and slides must be no less than 6 FEET from any structure or obstruction such as a FENCE, GARAGE, HOUSE,TREE OR OVERHANGING BRANCHES, ELECTRICAL WIRES OR CLOTHESLINE. Any swinging equipment must be a minimum distance of twice the height of the swing beam away from any structures or obstruction as specified above. It is also recommended that you DO Not install your play system near a lake, river, swimming pool or other water hazards! 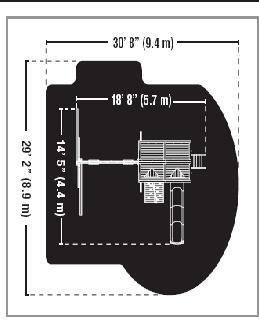 All Underground utilities MUST be located in play zone before starting assembly of your play system! Playground equipment should NEVER be placed on hard surfaces such as concrete or asphalt! Shredded bark mulch,wood chips, rubber mulch (shredded tires), fine sand and fine Gravel, are added as shock absorbing material AFTER ASSEMBLY. If used properly these can absorb some of the impact of a child’s fall. All surface material should extend a minimum of 6 feet in all directions around the play area! DO NOT apply playground surfacing until AFTER the unit is completely constructed. Playset Should NOT be built on top of surface! Some people may question the extra effort and expense of installation of an impact-reducing material, such as wood/rubber mulch, pea gravel or sand. Yet most playground injuries result from falls. There are only two ways to reduce the chance for a fall-related injury: (1) build a play structure entirely free of components more than a couple of feet off the ground(playhouses or sand box). (2) install an impact-reducing material wherever a fall might occur to reduce the chance for injury. Around swings, slides and higher platforms it's recommended the use of an impact-reducing material. Grass and soil may be fine for most of the yard, but they may not provide enough padding under playsets. Grass is not an adequate impact-reducing material at height above 20 inches for preschoolers, or 30 inches for school-age children. A lawn will compact over time resulting in a ground surface that can be almost as hard as asphalt. Then too, some lawns do not drain well, which could limit the time that the swing set could be used. And grass will wear away over time, leaving you with mud after a rain. But only washed Sand(play sand). Although fine sand provides excellent cushioning, it is more likely to blow about in the wind. The chief drawbacks of sand are that it can blow around and get into clothing and thus be tracked indoors and it also easily attracts animals. 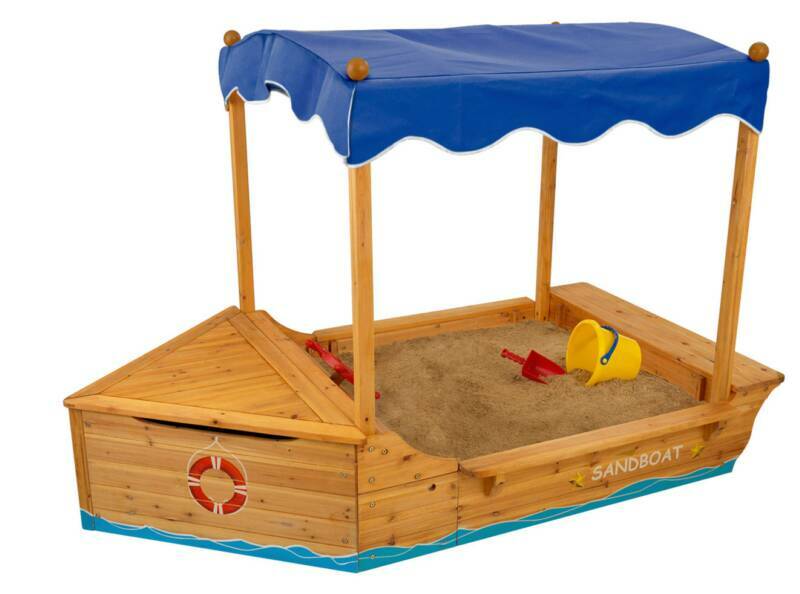 Play sand is easily found at Lowe's or Home depot and it's inexpensive. The best option is to have a sand box with cover. Also very popular. Washed gravel contains round particle about 3/8 inch or less in diameter. It does not compact as much as sand and it's less likely to attract cats and dogs. The best thing about it is, when it rains, the water drains right through it, that is if you have a nice drainage system under it. 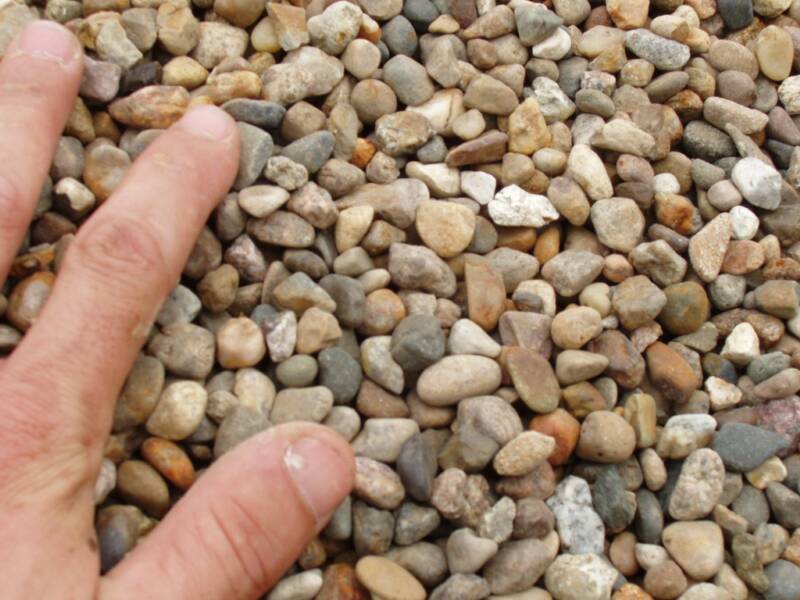 Avoid crushed rock, sometimes sold as pea gravel because it has sharp edges. It has become more popular over the years due to its low price. Expensive material but offers superior cushioning. Available in many colors. Does not deteriorates or become compacted. Most popular. 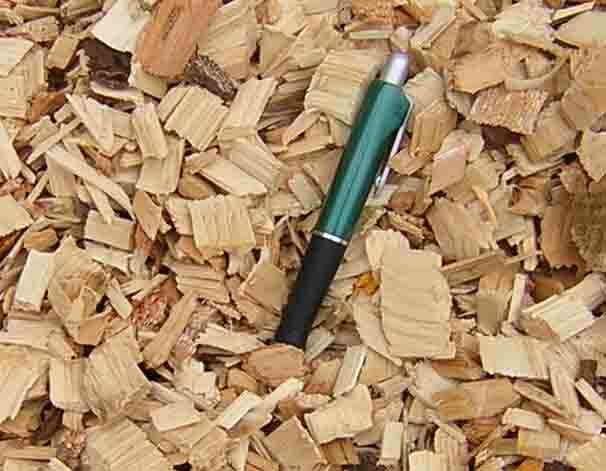 Wood mulch is composed of wood chips, twigs and leaves of various sizes that are created by wood chippers. Wood chips, sold separately, are small pieces of wood of relatively uniform size.Both are very easy to install, less abrasive to skin than sand and less likely to attract cats and dogs. 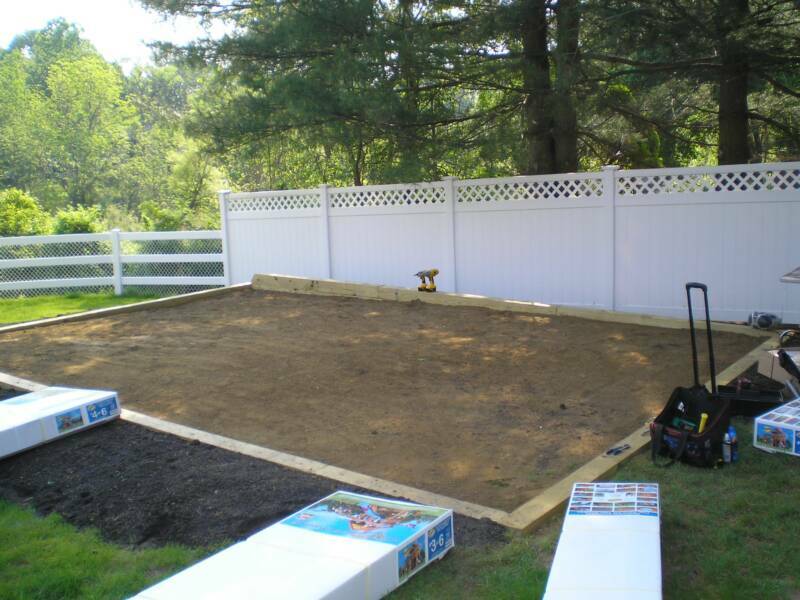 if you backyard is fairly flat and close to level, I highly recommend you to build a wood border around the playset structure to prevent your soft landing material from spreading all over the yard. This wood border(railroad ties) could be built from 4x4's, 4x6's, 6x6's or 8x8's pressure treated lumber(always round the edges to get rid of sharp edges) and metal spikes to secure it to the ground. It's very easy to build and it doesn't required much skills. There are also other options such as flexible rubber ties, plastic landscape border and some playground border kit sold throughout the Internet. If you find this difficult to build, your landscaper company should easily take care of this job for you. Reminder: DO NOT apply playground surfacing until AFTER the unit is completely constructed. Playset Should NOT be built on top of surface! If you do this your swing set will not be installed. Now if your yard isn't quite level(over a foot on the overall length of the swingset), it may be required a retaining wall to be built so that we can safely and properly install your swing set. This task requires some skills, drainage system, the use of machine(bob cat) and depending your location, town permits. And again, your local landscape company should be able to accomplish this task with no problem. Most manufacturers recommend 6 feet from the equipment in all directions. or more space behind the A-frame leg . UNFORTUNATELY WE DO NOT OFFER SITE PREPARATION SERVICES, BUT BELOW WE HAVE A FEW TIPS TO HELP YOU GET THE JOB DONE RIGHT. In a specialized world, your swing set installer should be specialized as well. We do mix our swing set assembly services with any other services. If your backyard isn't level and a swing set installation is not safely possible, call your Local Landscape Company. It's their job to prepare, and level your backyard before we can safely install your swing set. "Swing set Assembly Services since 2001"
If you're not sure if your yard is level enough for a swing set, please follow the illustration below. . This is the simplest, most effective way to check if your yard can safely accommodate a swing set. Tools needed: String Level, a wooden stake and a measuring tape. These are easily found at any hardware store, home centers and even Walmart stores. Please make sure you check the overall dimension of your swing set. Once the measurement has been taken, just please contact me and let me know what numbers you have so I can determine the possibility of an installation. We are now offering wood border and rubber mulch services. We can do the installation of your swing set as well as the surface material. Please inquire for more information. Service fee is $5.00 a square foot with rubber mulch and $4.00 with regular wood mulch. Most swing sets require at least 500 square feet of space. 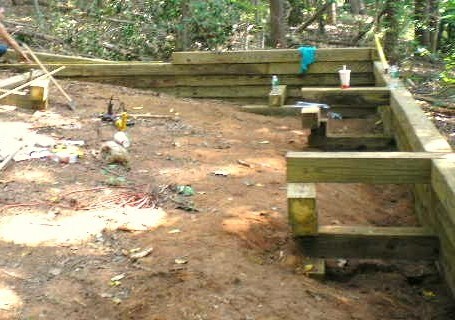 The price includes rubber border around the playset, weed block fabric barrier( landscape fabric) and rubber or wood mulch. Please watch video below.